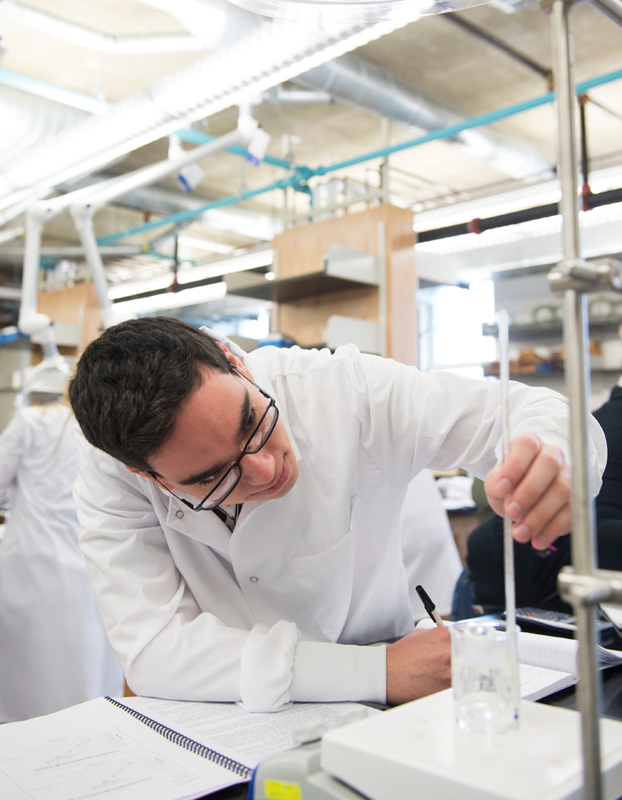 Albright College prepares students for admission to professional schools of medicine, optometry, osteopathy, dentistry, pharmacy, dental hygiene, physical therapy or veterinary medicine. Most pre-professional students concentrate in biology, biochemistry or chemistry, but they may major in any area. Students should plan to prepare for and take the Medical College Aptitude Test (or other appropriate placement exam) in the spring of the junior year. Students interested in these programs should consult with the pre-professional adviser, Professor Karen Campbell in the Biology Department. Pre-professional students may concentrate in areas other than biology. However, in order to meet specific science requirements for professional schools, they should plan their schedules in conference with both the appropriate academic department and Professor Campbell. • Early Assurance Program: Albright College has established an early assurance agreement with the Pennsylvania State University School of Medicine at Hershey. Under the terms of this agreement, students with a combined SAT score of 1250 and a 3.5 GPA at the end of their sophomore year are nominated for early acceptance to Hershey Medical School, provided that they have completed eight of the 10 required courses (BIO 151, 203; CHE 105, 106, 207, 208; MAT 131, 132; PHY 201, 202). Successful candidates must complete their undergraduate requirements with a minimum cumulative GPA of 3.3, and earn at least Hershey’s national average scores on the MCAT.